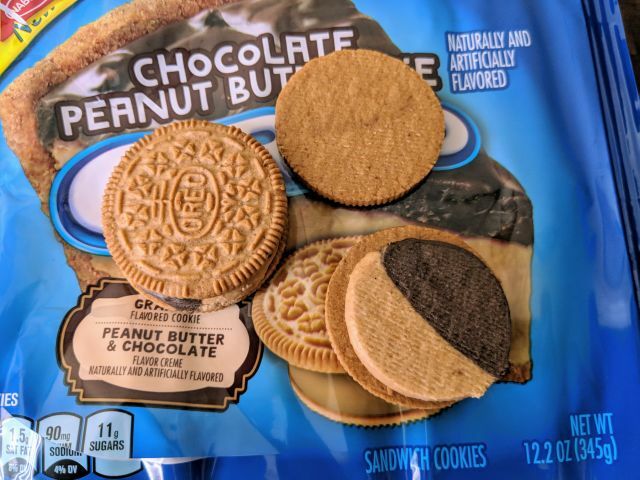 Nabisco Chocolate Peanut Butter Pie Oreo cookies feature peanut butter and chocolate-flavored creme sandwiched by graham-flavored wafers. A 12.2-oz package cost me $2.99. 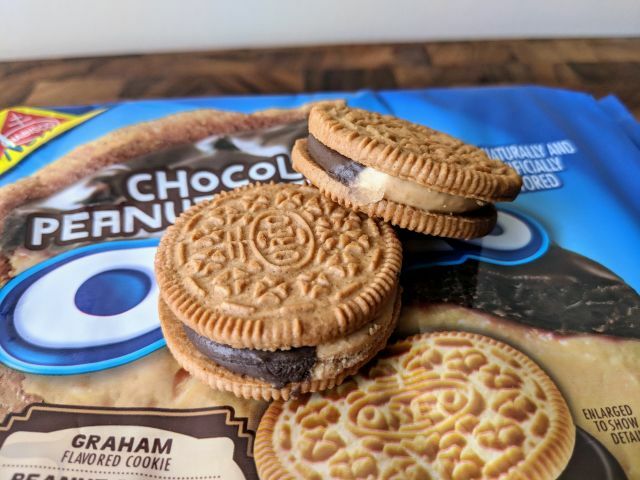 While Nabisco already offers chocolate Oreos with peanut butter creme, these provide more variety by the separation of the chocolate and peanut butter-cremes as well as with the graham-flavored wafers. The wafers have the same honeyed taste as graham crackers but with the slightly different texture of an Oreo wafer. They're nice enough that I wouldn't mind just chomping on the wafers alone. Both of the cremes offer the requisite chocolate and peanut butter flavors with a particularly delightful creaminess from the peanut butter creme. They work equally well taken together or eaten separately. 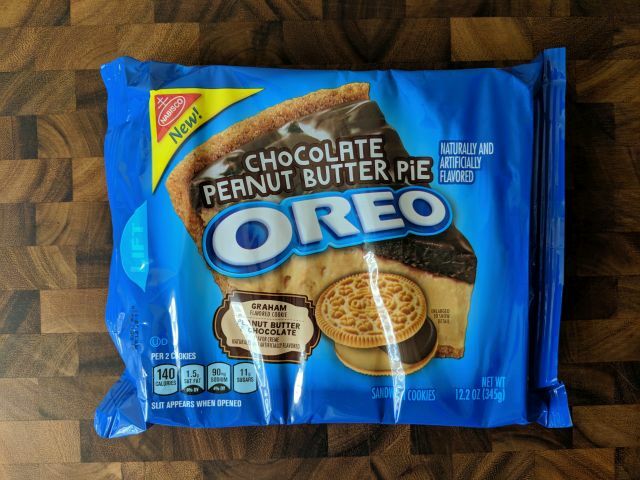 As a fan of chocolate, peanut butter, and graham crackers, Chocolate Peanut Butter Pie Oreos are a no-brainer for me. If you're of the same mind, I'd definitely give them a try as the combination of the three meshes really well.